Don't allow yourself to wake up with yesterday's issues troubling your mind. 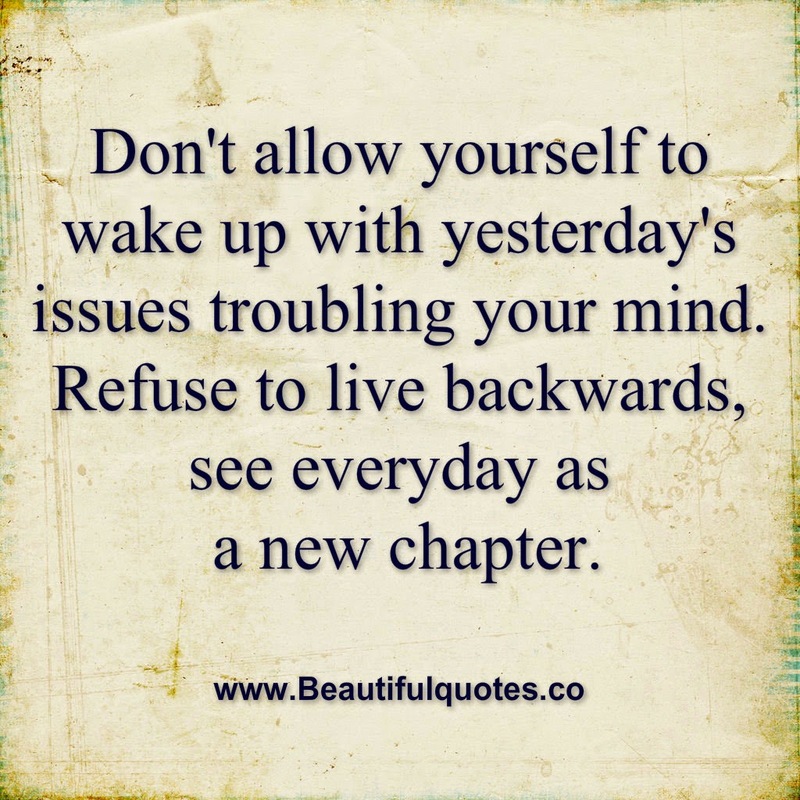 Refuse to live backwards, see everyday as a new chapter. Never allow yourself to believe that you will never have another chance at love. Always remember, that you are too young, too sprung and too blessed to be stressed.